At the French Championship in Knife and Axe Throwing a new record was achieved! The Championship took place at the national level, and is hence eligible for entry into the EuroThrowers records list. International participation was encouraged, but non-French participants were put into a separate "World" ranking. 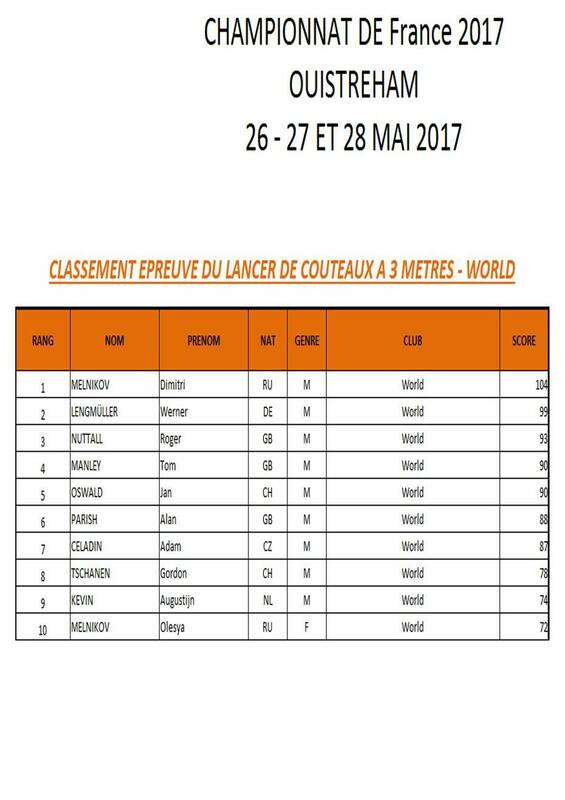 The compability of the national FFLC rules 2017 (by which the Championship was governed) with standard EuroThrowers rules has been verified. It was accertained that the knives used in the record throw, called 13 max, have a maximum breadth of 32mm, and are hence within EuroThrowers 2010 regulations (FFLC is less strict on knife breadth). 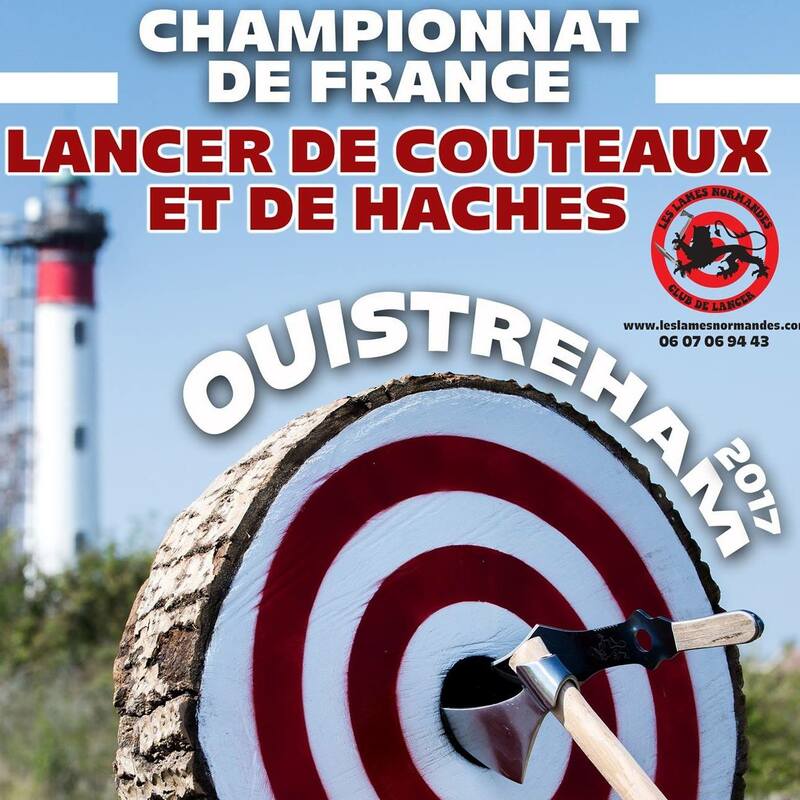 At the competition in Ouistreham, participant Dmitriy Melnikov from Russia scored 104 points out of 105 possible points in the event "knife precision 3m male". Congratulations on this record! Many thanks to Christophe Goetsch for facilitating the record verification.